Aloo Matar is an easy and popular vegetarian curry in North Indians. 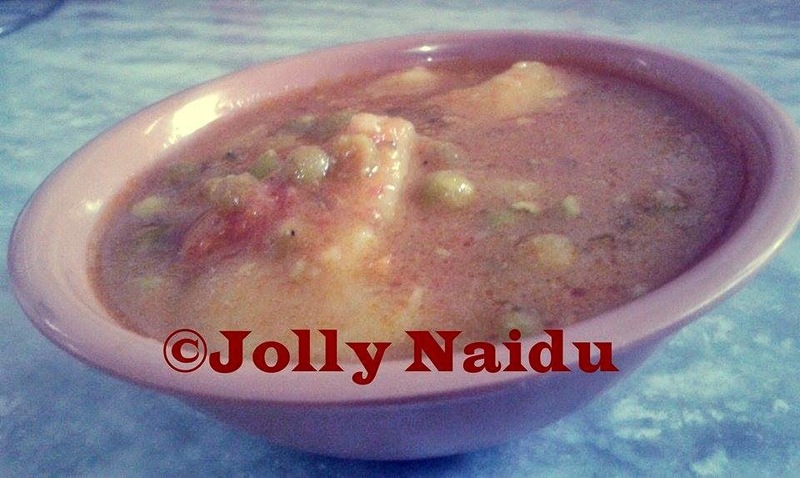 This is a simple Punjabi style curry recipe which is made from potatoes and peas in a spiced creamy tomato based sauce. This dish goes well with roti, paratha, naan and with rice also. This is quick, delicious and my all time favourite dish. 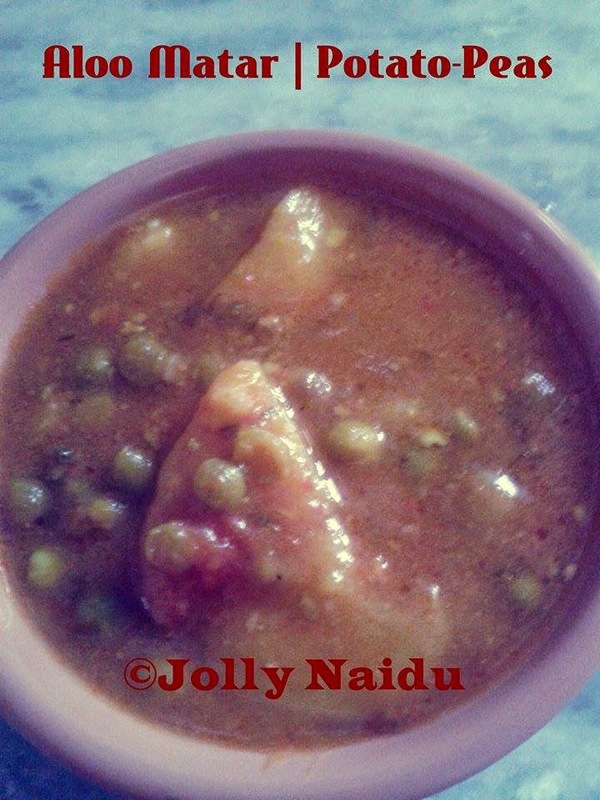 Here's the recipe of Aloo Matar with very easy steps..
1. For preparing aloo matar recipe, first scrap off the outer brown skin of the potatoes, wash them and slice in cubes. 2. For making masala - Grind chopped onion, tomatoes, garlic cloves, ginger and green chilies(optional) in a mixer to make a thick paste, add 1 tbsp of water(if it is required). 3. Heat a oil in a cooker, add onion-tomato masala. Saute for few minutes. Add all spices coriander powder, red chilli powder, salt, turmeric powder and saute in a low flame till the masala is cooked. When masala is leaving oil in around, it means your masala is cooked. 4. Add potato pieces, green peas and stir well. Add water (as per your requirement of gravy) to the aloo matar mix and cover with a lid. Pressure cook the aloo matar with until done. Give 3 whistles in a high flame, then switch off the flame. 5. Open the cooker, cook well in medium heat until water is little bit absorbed and done. Add garam masala powder and mix it. 6. Aloo matar dish is ready, Garnish with chopped coriander leaves. 7. Serve Aloo Matar dish with roti, paratha, naan and with rice also.